American, fur trade era & contemporary designs. Beads, Leather & Furs, Jewelry Findings, Feathers & Much more for ALL your craft needs! We are your best single resource for all things beads, leather, feathers, jewelry making, Western home and camp decor and supplies, and much more. Each of these craft and supply areas have their origins in trade to and with Native Americans since the earliest days of European contact. So, it’s only natural that we would be a great resource for these products to you, regardless of your use for them. Whether you’re using feathers for fishing lures or Scouting projects, leather for handbags or saddle bags, beads for contemporary jewelry or wall hangings – or, for the most authentic Native American dance regalia or fur trade rendezvous outfits – Crazy Crow Trading Post is your place on the web! With our roots in the Native American craft supply world since 1970 . . .
. . . it’s only natural that we would have put together an extensive line of the type craft supplies used by American Indians. The bead trade in North America was originally directed toward Native Americans, and the beads used for other projects today are often direct descendants of the ones developed for trade in the 19th century. While we don’t carry smokepoles, we do provide all the goods you’ll need for your rendezvous outfit and camp. The leather, furs, cloth, beads, bone, and other things you will need are from the same era that we’ve supplied related to Native American trade goods since opening our doors in 1970. Many thousands of reenactors are members of clubs that reenact famous battles in America’s history. We have dedicated online sections to each of these 18th and 19th century American wars. Here we group products that are historically accurate for your outfit, camp or personal items. Always Grateful for Your Support! Since beginning in 1970, our goal has been to provide the best quality products at fair and competitive prices, while bringing you the very best service in the industry. Follow Crazy Crow from working out of a car trunk, to bedroom to small shop to 30,000 sf office and warehouse. Learn about our forty year ‘overnight’ success. Crazy Crow Trading Post offers a great selection of hard-to-get, top quality Native American dance regalia items. We’ll make you look good from top to bottom. From porky roaches and war bonnets to shirts, dresses, dance shawls, German silverwork and so much more. Also offering the most authentic and comprehensive Native American craft kits and patterns available. Our easy-to-follow illustrated instructions are complete with detailed illustrations and photos for expert and novice alike. Of course, we also have all the Native American craft supplies you’ll need to make your own! Looking for an American Indian Blanket? You’re looking for a Pendleton! For over a hundred years, if you’re looking for an American Indian blanket, you are looking for a Pendleton Indian blanket pattern. From vintage Pendleton blankets such as the Harding blanket or Chief Joseph blanket, to new patterns such as the Code Talker blanket, Pendleton blankets are Indian blankets. 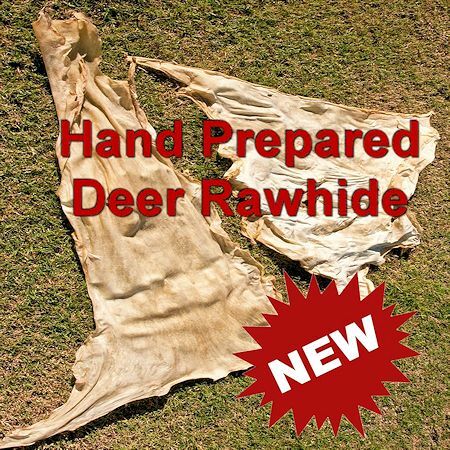 Your Reenactor HQ for Authentic Period Shirts, Pants, Moccasins, Hats, Apparel & Gear! Crazy Crow offers a line of historically authentic ready-made early American clothing and accessories that generally spans the overall muzzleloader era (1740 – 1865). Our shirts, frocks, vests, ponchos, pants, hats, and accessories will have you strutin’ your stuff in style at the next rondy or other reenactment! Our period clothing is based on historical research and is made from authentic fabrics that match the era. From our Longhunter Pull Over Hunting Shirt to our Mountain Man Work Shirt, Drop Sleeve Shirt(or other muzzleloading era pants, shirts, hats, etc. ), you can count on looking the part. Civil War Swords, Scottish Dirks, Kits & More. Crazy Crow Trading Post offers an amazing line of frontier and trade knives, knife blades, knife-making supplies & knife kits that are perfect for your Frontier outfit and use. Crazy Crow also offers a wide variety of American Indian style tomahawks and camp axes to suit every purpose. From smoking and ceremonial tomahawks, to throwing tomahawks, camp axes designed to chop and hammer and extra hawk handles, we have it all. Camping Gear for Rendezvous, Powwow, Tipi Camp or other Primitive Camp needs. Whatever period your camp, Crazy Crow Trading Post has everything you need. Make your Rendezvous or Re-Enactment camp authentic and enjoyable. From primitive camping gear, to everything you need for your tipi camp, (or even your modern camp) Crazy Crow gets you ready for the great outdoors! From hand-forged fire tools and cooking gear, to tin and copperware plates, bowls, pots and pans, a great selection of utensils, kegs and jugs, tents and tipis, canteens and jugs, and lanterns and lighting, Crazy Crow Trading Post can outfit your needs.